Shortly after Nicole Bennett was sent to prison in 2012 at the Century Regional Detention Facility in Lynwood, CA, she discovered she was pregnant. Like nearly every pregnant woman in prison in the United States, Bennett was kept with the general prison population throughout her pregnancy aside from monthly hospital visits and giving birth. 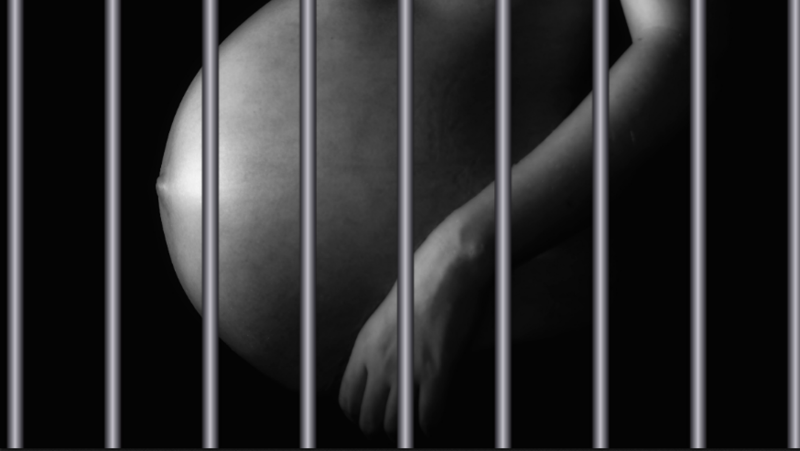 A new bill proposed in the House of Representatives on September 13—the Pregnant Women in Custody Act of 2018—seeks to reform this culture within the United States Prison System where pregnant women in prison are poorly treated, often kept in shackles, denied adequate healthcare, and separated from their babies once they are born. “Rep. Mia Love (R-UT) and I thought if we did a bill around pregnancy during incarceration it would be an opportunity to raise everyone’s understanding that there are pregnant women in prison, and it would be a way to unify all the women in the house,” said Rep. Karen Bass (D-CA), who co-authored the bill with Rep. Katherine Clark (D-MA), and Rep. Mia Love (R-UT). The bill seeks to develop a national standard of care in federal prisons for pregnant women and provide incentives for state prison systems to adhere to the same standards, which include providing adequate healthcare, prohibiting restrictive housing, and the use of shackles on pregnant women. Mass incarceration in the United States widely impacts women, and criminal justice reforms often ignore reducing women prison populations in favor of men. Since 2009, women prison populations in 35 states have either grown faster than men prison populations—increased while men’s prison population has decreased—or declined at lower rates than men. 133 women are incarcerated per 100,000 people, the highest rate of incarceration in the world. According to the Prison Policy Initiative, though only four percent of the women in the world live in the United States, more than 30 percent of the global women prison population are in U.S. prisons. An estimated 219,000 women are currently incarcerated in the U.S. Prison system, but the Department of Justice hasn’t collected any data in regards to pregnancies within this population. The Pregnant Women in Custody Act of 2018 would require the Department of Justice to begin to collect data on pregnant women in prison. In lieu of this lack of data, Dr. Carolyn Beth Sufrin at Johns Hopkins University started the PIPS (Pregnancy in Prison Statistics) project to collect recent data on pregnant women in prison. Twenty-two state prison systems, six jails, and three departments of juvenile justice have reported statistics to the project, which are currently under peer review. The project’s results will likely be released in early 2019. Without any data, Dr. Sufrin argued, it’s difficult to diagnose problems within the systems and develop solutions. “If we want to understand the scope of this problem and what the needs are, having data is essential,” she added. Though there are a few prison programs in the United States that provide nurseries and opportunities for women prisoners to spend time with their babies after birth, Dr. Sufrin noted these programs aren’t a solution to the mass incarceration of women in general. Rather, they are necessary under the current system as criminal justice reform advocates push toward a broader vision of what the prison system should look like. “Most of the women in the U.S. have been charged with nonviolent offenses, and most of them don’t necessarily need to be in custody and this is true for pregnant people,” Dr. Sufrin continued. Under the current system, Dr. Sufrin cited the need to ensure pregnant women behind bars are getting the social support and healthcare they need while working to achieve a broader vision in how pregnant women in prison are broadly treated. Lynne Paltrow, the Executive Director and Founder of the National Advocates for Pregnant Women, agreed with the notion that pregnant women should not be kept in prison custody, as the idea of using the prison system to address health and social welfare issues is a rampant perpetuator of mass incarceration in the United States. Next post: What’s The Future Of Gay Slang?